Time for a vertebrate fossil from the College of Wooster paleontology collections. 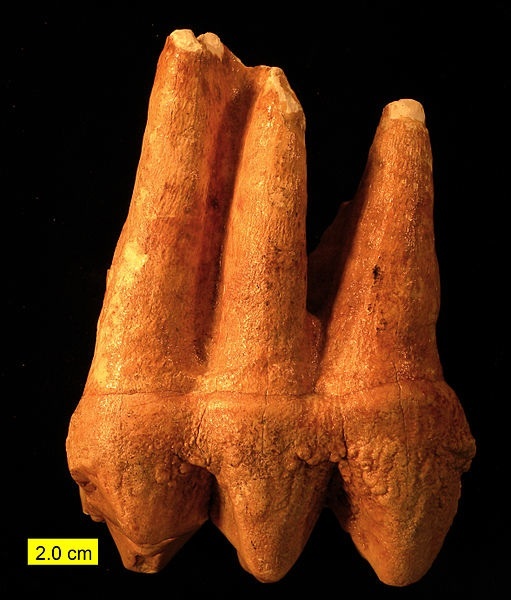 Above is a side view of an American Mastodon tooth (Mammut americanum) from the Pleistocene of the county just south of us. It has been passed around through hundreds of student hands in our geology classes to demonstrate basic features of these large animals and their dietary habits. The image below shows their characteristic cusped chewing surface. 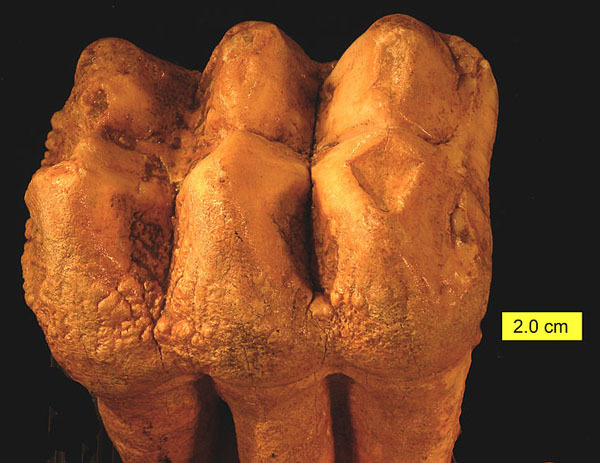 Mastodons looked like elephants but are actually in a separate family (Mammutidae instead of Proboscidea). They browsed diverse vegetation rather than grazed like elephants and mammoths. 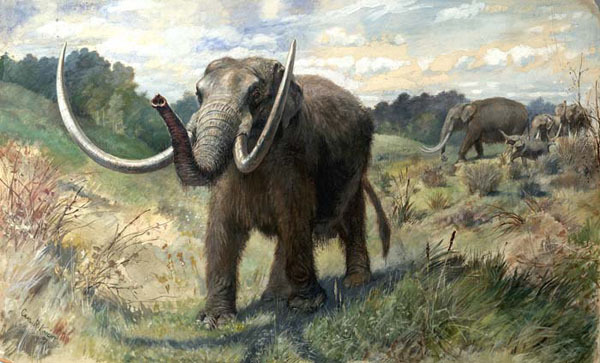 The American Mastodon roamed most of North America. They lived in herds in the cool woodlands, probably meeting final extinction under the spears of Paleo-Indians about 10,000 years ago. My favorite reproduction of the American Mastodon is shown below. It is by the famous scientific illustrator Charles R. Knight (1874-1953). There is something very spirited as this young male charges into the scene. It even looks a bit like northeastern Ohio.